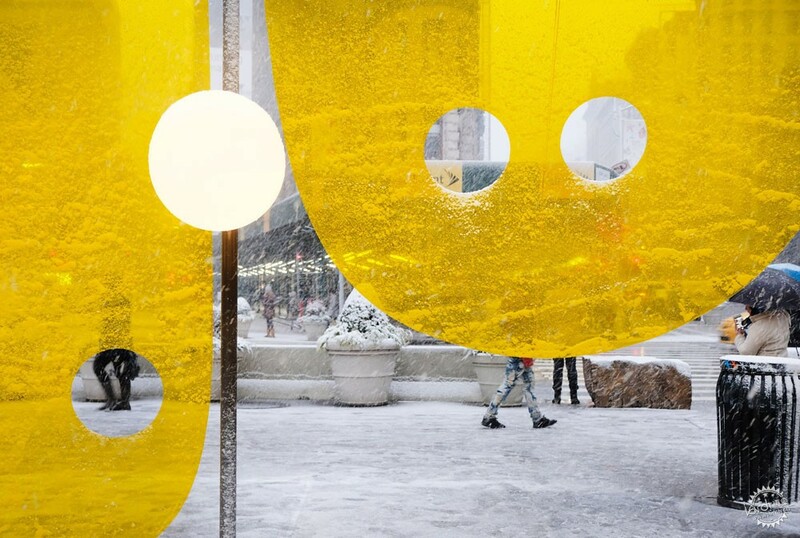 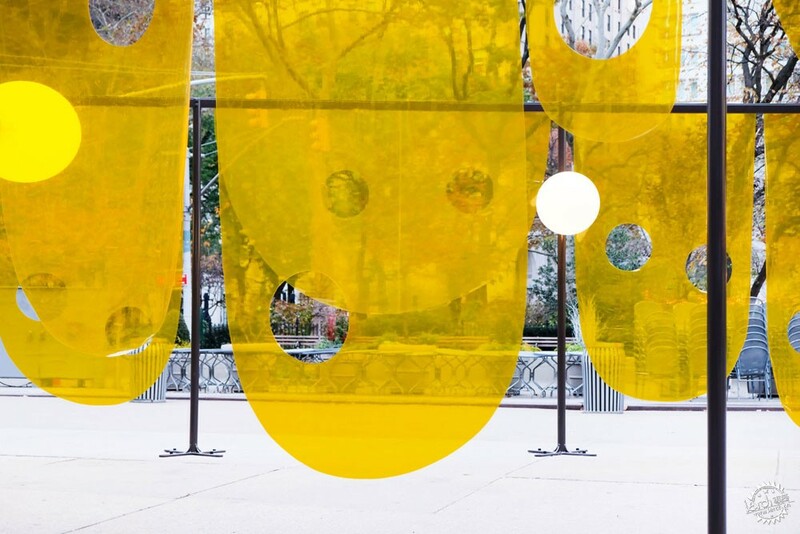 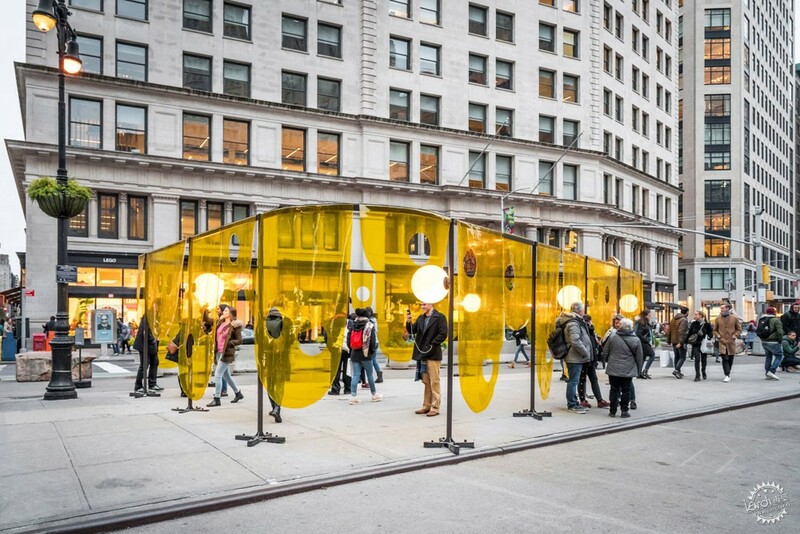 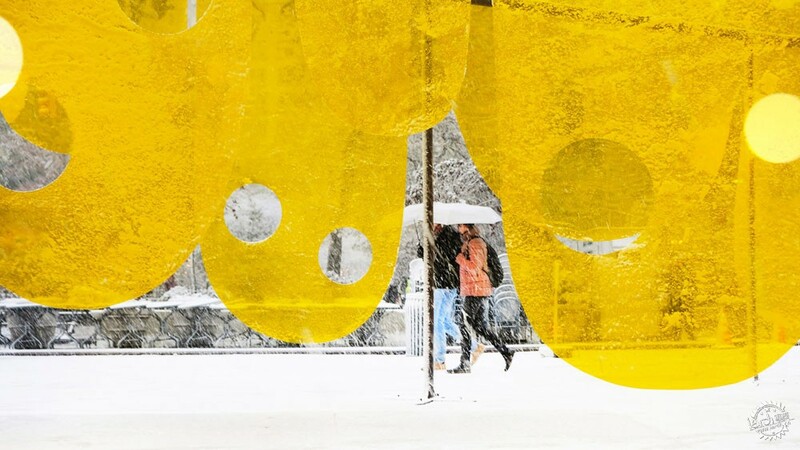 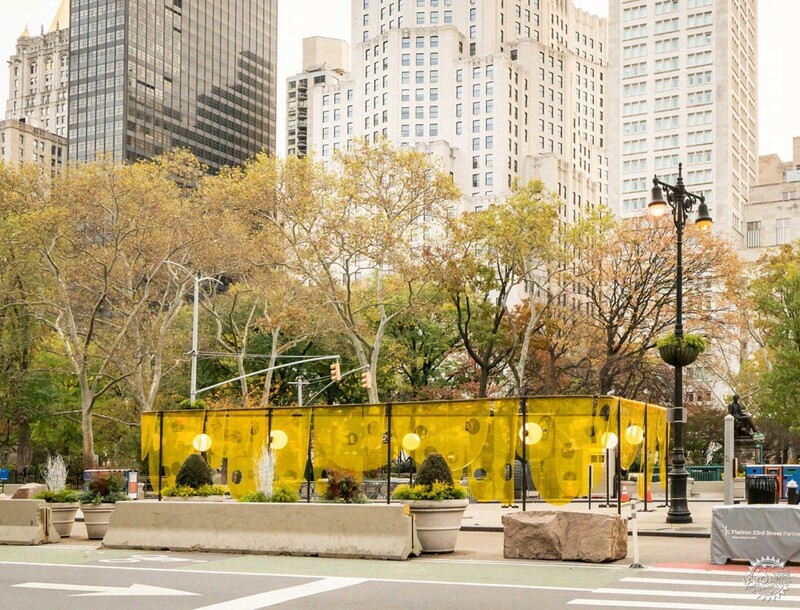 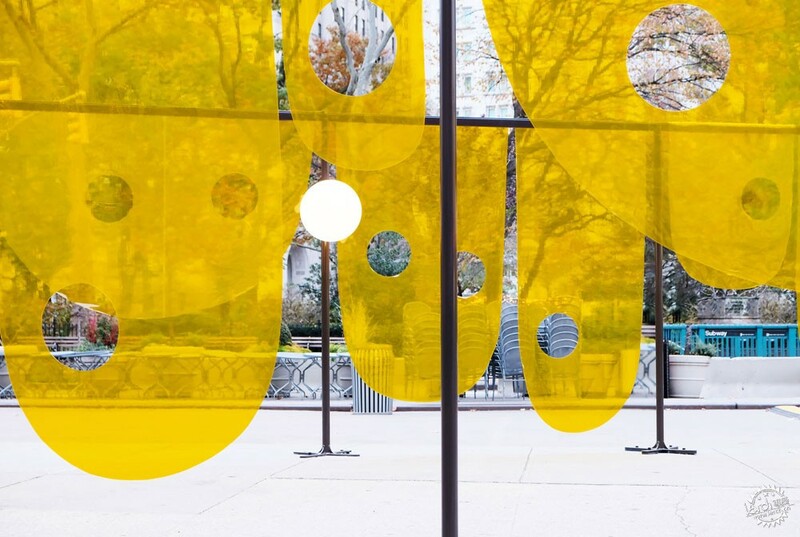 Yellow material shaped to resemble smiley faces is draped from this installation by Studio Cadena, erected outside New York City's Flatiron Building for the holiday season. 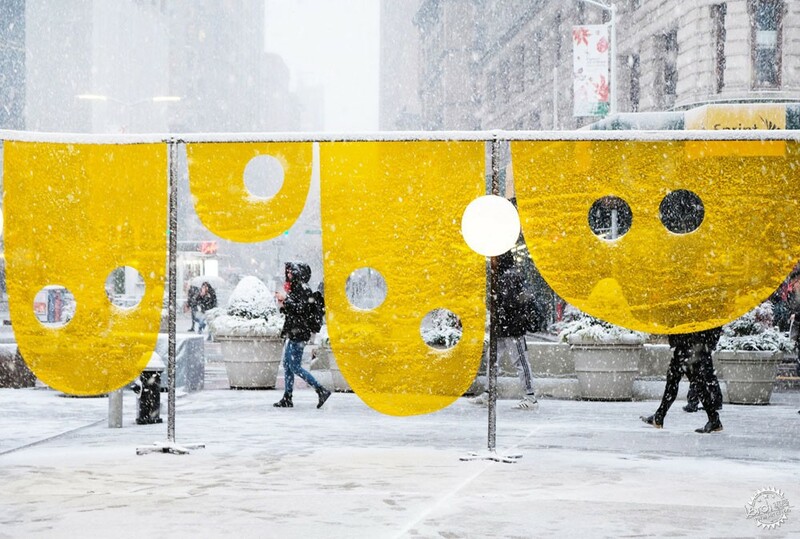 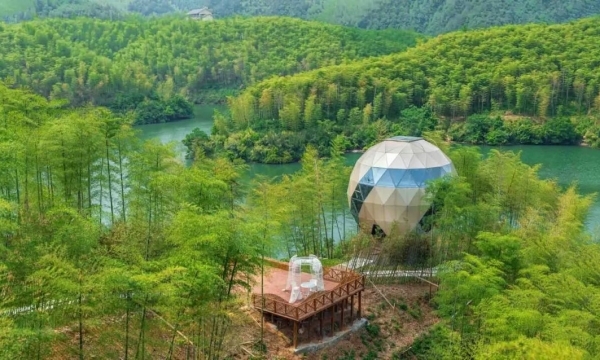 "In our otherwise bleak social and political context, it aspires to carve a small and more positive space in the city – it offers a warm embrace during the cold winter months," said studio founder Benjamin Cadena in a project description. 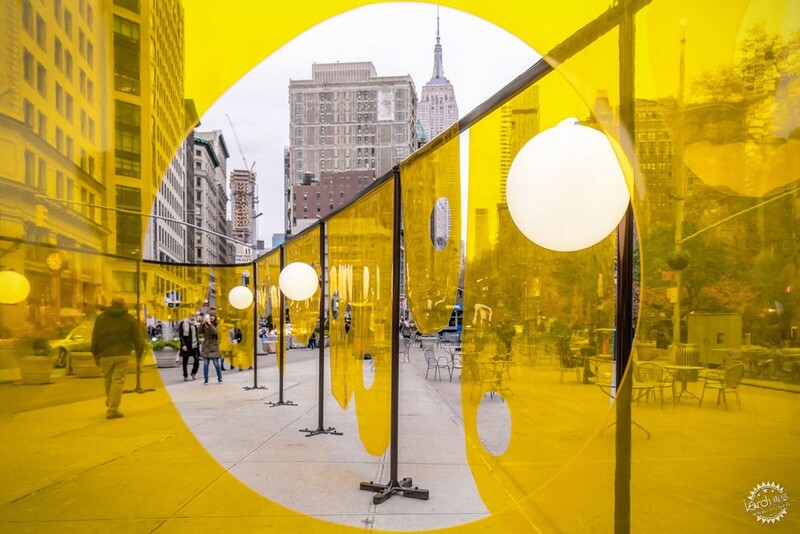 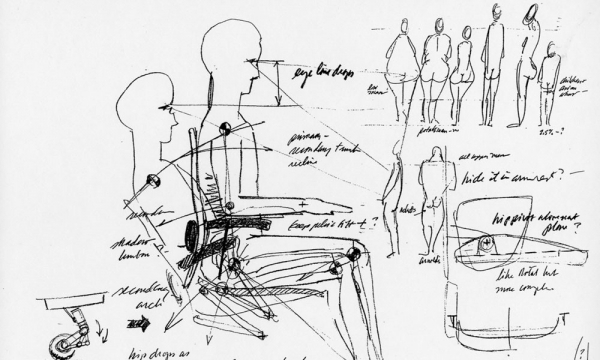 Now in its fifth edition, the annual contest is held by the Flatiron/23rd Street Partnership Business Improvement District and Van Alen Institute, and seeks designs for structures to fill the same compact space each year. 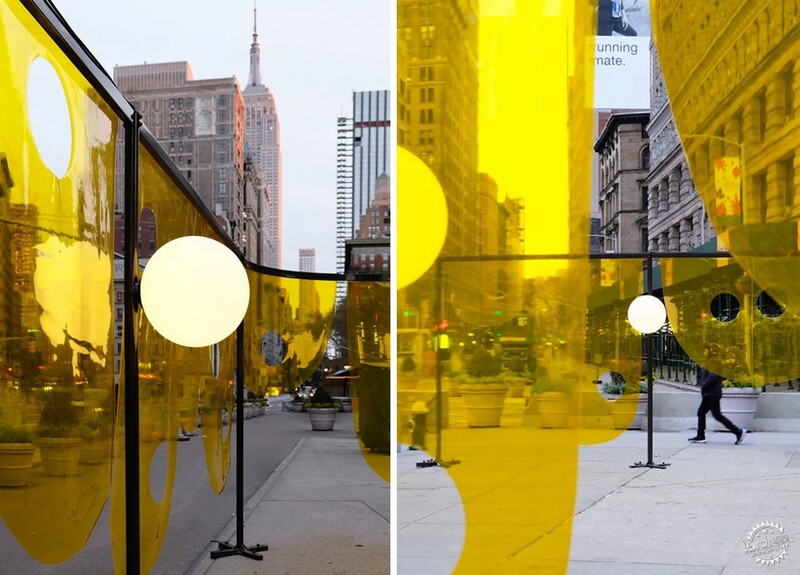 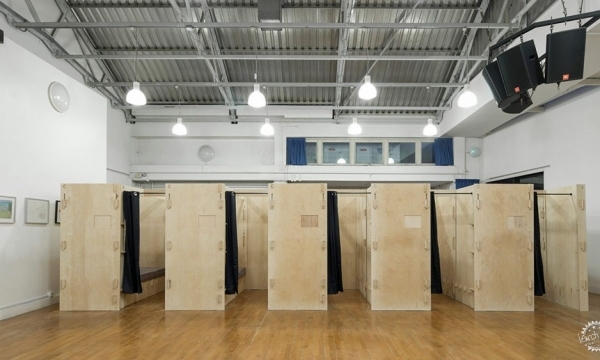 In 2017, the design comprised a set of "choir-like" mirrored tubes. 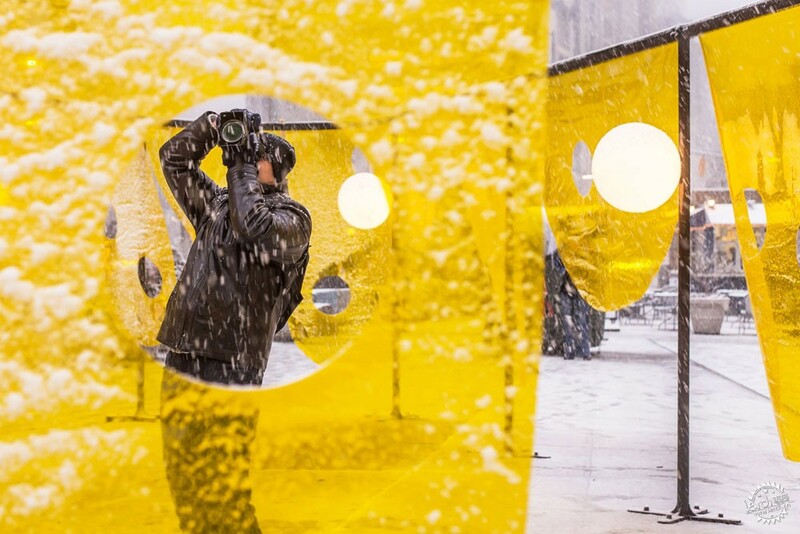 "We all wish each other happiness during the holidays," said Cadena. 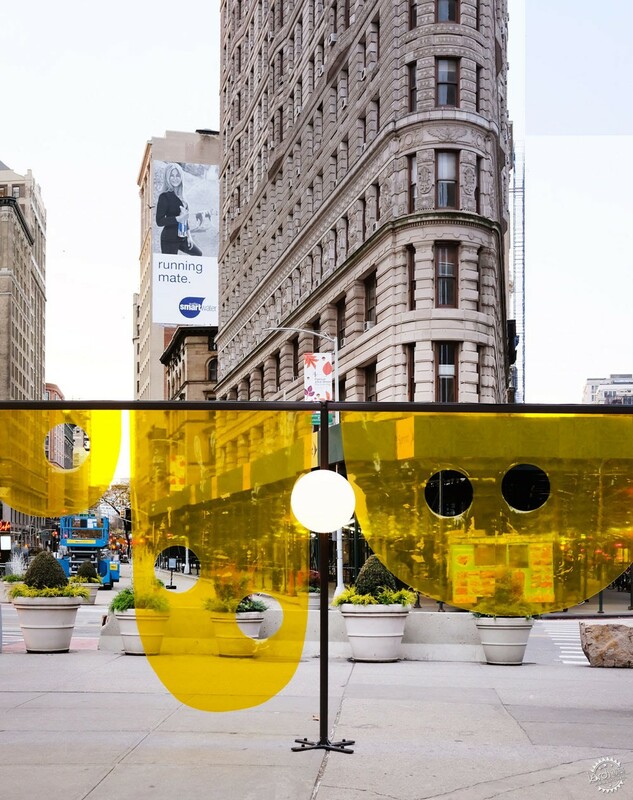 "This installation physically manifests this well wishing to all who visit Flatiron." 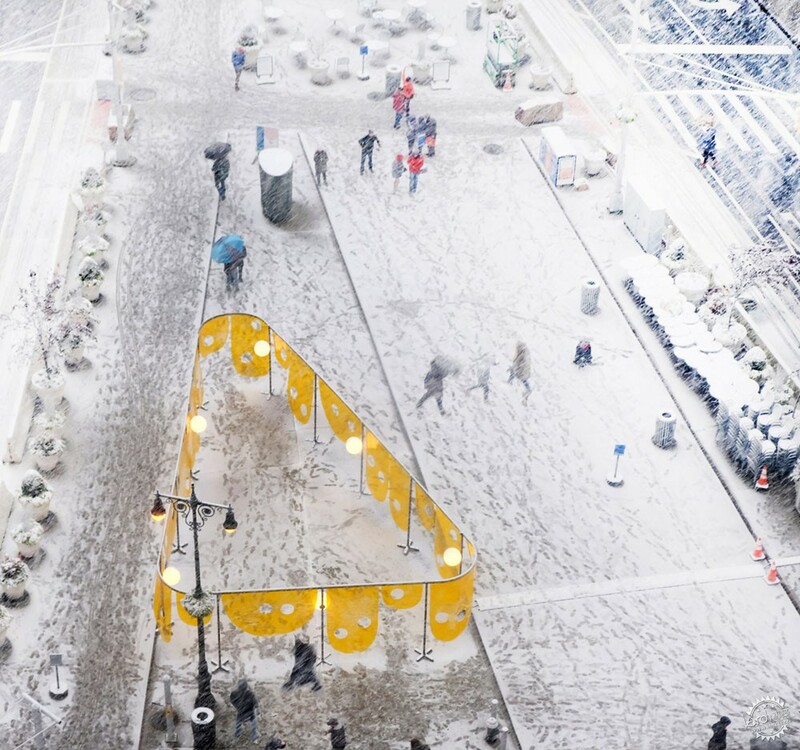 Elsewhere, New York City is gearing up for holiday season with the installation of Daniel Libeskind's Swarovski Star at the top of the Rockefeller Center Christmas tree.